There are numerous industries that depend on size reduction to improve performance or to meet specifications. This article details size-reduction techniques and equipment that may assist you when handling these materials. 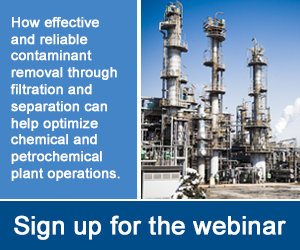 As many chemical processors know, processing powders can be tricky. Specific processes like granulation, blending, drying, milling, lubricating and compression put requirements on how powders can be handled. Download this Chemical Processing Powder eHandbook to learn how to effectively process powder. The chemical, pharmaceutical, food and mining industries all rely on size reduction. Its uses include grinding polymers for recycling, improving extraction of a valuable constituent from ores, facilitating separation of grain components, boosting the biological availability of medications, and producing particles of an appropriate size for a given use. There are many types of size-reduction equipment, which are often developed empirically to handle specific materials and then are applied in other situations. Knowing the properties of the material to be processed is essential. Probably the most important characteristic governing size reduction is hardness because almost all size-reduction techniques involve somehow creating new surface area, and this requires adding energy proportional to the bonds holding the feed particles together. A common way of expressing hardness is the Mohs scale, on which talcum is a 1 and diamond is a 10. Also important is whether a material is tough or brittle, with brittle materials being easier to fracture. Other characteristics include particle-size distribution, bulk density, abrasiveness, moisture content, toxicity, explosiveness and temperature sensitivity. Flow properties can be major factors, too, because many size-reduction processes are continuous, but often have choke points at which bridging and flow interruption can occur. For instance, most size-reduction equipment is fed by chutes, which might constrict flow. Often, the feed flows adequately, but the crushed product will compact and flow with difficulty. Intermediate storage bins might aggravate flow issues by causing compaction and bridging. For a given feed material, it is important to determine the desired particle-size distribution of the product. In mining, for example, very fine particles can interfere with separation processes, such as froth flotation, and might result in loss of valuable components. In other operations, the objective might be to produce very fine particles. Sometimes, as in sugar grinding, very fine particles are agglomerated to increase the share of larger particles. y = 100 (x/xm)Âª where y is the cumulative percentage of material that is finer than size x, xm is the theoretical maximum size, and Âª is the distribution modulus, which is related to hardness and has lower values for softer materials (0.9 for quartz and 0.3 for gypsum, for instance). The equation indicates that softer materials produce more fines . Nearly all size-reduction techniques result in some degree of fines. So unless producing very fine particles is the objective, it usually is more efficient to perform size reduction in stages, with removal of the desired product after each operation. Size-reducing equipment relies on compression or impact. Compression is applied via moving jaws, rolls or a gyratory cone. The maximum discharge size is set by the clearance, which is adjustable. Impact-based equipment commonly uses hammers or media. The pros and cons of several types of size-reduction equipment are shown in the table. Rolls, in particular, can produce very fine particles. Rolls are used in flour milling, where crushing yields different-sized particles, allowing separation of purified flours. Moisture content is important so that, for example, the bran is soft and remains in large pieces, whereas the endosperm is brittle and fractures into small granules. Corn germ can be separated from starch and fiber by roller milling because the germ selectively absorbs water and is made into flakes, whereas the starch fractures. Impact mills use revolving hammers to strike incoming particles and to break or fling them against the machine case (Figure 1). The hammers might be fixed or, more commonly, pivoted. Typically, the hammers can be reversed to provide added life before they need to be replaced. In jet mills, particles strike each other as they are transported in a stream of air or steam. For the initial reduction of large materials, a rotating drum propels the feed into the air where the pieces strike each other and fracture. Ball, pebble and rod mills are rotating cylinders that are partially filled with metal or ceramic balls, flint pebbles or rods. The units are capable of producing very fine powders, such as pigments for inks and paints, but are quite energy inefficient. The crushing mechanism is a combination of impact with the grinding media and shearing between the media and the cylinder walls (Figure 2). A variation is a jar mill, in which relatively small ceramic containers holding some grinding media are rotated on a common machine frame. It is used for small batches of valuable chemicals and in laboratories. Wet grinding might be appropriate when the fine particles are to be suspended, as in paint or ink, or where an explosion or dust hazard might exist. The fluid might be water, oil or solvent. Water is used to help suppress dust, but complicates the process if drying is then required. Pigments for inks and paints might be ground in the medium in which they are to be suspended. Wet grinding often takes place in ball, pebble or rod mills. The efficiency of wet grinding can be higher than that for dry grinding, but wear of equipment is also higher . Most size-reduction equipment is subject to heavy wear and therefore parts, such as casing liners, hammers and jaws, are designed for relatively easy replacement. The basic options for size-reduction flow paths are: simple crusher (no separation); normal order circuit (separation after crushing with recycling of overs, that is, oversized material); reverse-order circuit (separation before crushing with only overs going to the crusher and crusher product going back to separation); and reverse order without recycle (separation before crushing but no recycle) . More complex flow sheets are assembled from combinations of these basic flow schemes. Because the particle-size distribution of the feed and milled product is almost always different, it is often advantageous to remove a desired size range before further milling. The trade-off is that more equipment is required, as is additional material handling. When feasible, a vertical equipment arrangement often is preferred so that many flows are driven by gravity. However, this also means that heavy equipment is located on a frame or on a different floor; so, access for maintenance and stabilization against vibration must be considered. Usually, some form of separation follows size reduction. The most common is simple screening, in which the screen openings are selected to pass the desired size range and retain material that is too large. Because particles rarely are symmetrical, it is important to understand which size characteristics matter. Screens are subject to blinding by particles large enough to enter a hole, but not able to pass through. High-moisture solids can also cause blinding by agglomeration. Most screens are moved by vibration or regular motion to facilitate passage and to remove overs. Air aspiration is often used, especially in jet mills, to remove fine particles by entrainment while retaining larger particles. Hammer, ball and rod mills frequently have screens on their discharge to retain large particles and media while passing fine particles. Other separation techniques include froth flotation, in which the difference in surface chemistry between a desired material and waste is exploited to float fine particles attached to air bubbles. The fine particles might be the product or the waste. The remaining material is either enriched or depleted. Centrifuges or hydroclones, which rely on differences in density and particle size, are also used to separate materials after size reduction. Corn wet mills use both devices to remove starch from protein and fiber. Sometimes fine particles require agglomeration to provide an appropriate size distribution — such as for successful compression of powders into tablets for confections or medications. This process is called granulation and is accomplished by mixing the fines with small amounts of water, solvent or syrup; it might occur with simultaneous drying, heating or cooling. Some of the more difficult materials to mechanically process are plastics, rubbers and fibers because they deform, but do not fracture, when struck. One solution is cryogenic milling, in which liquid nitrogen or carbon dioxide is injected with the feed to a hammer mill. The extreme cold makes plastic materials brittle enough to fracture easily. For much the same reason, meat usually is ground at a temperature just above freezing. A completely different approach to size reduction involves dissolving a material in a solvent and then separating it. One example is spray-drying of fortified dairy beverage mixes. Many chemicals are produced as powders by crystallization. Another example is the use of supercritical carbon dioxide. Upon depressurization, the supercritical fluid loses its high solvent power and precipitates a very fine powder. This approach can be used for heat-sensitive pharmaceuticals and fine chemicals that would be damaged by conventional milling. There are many choices for a size-reduction process, depending upon the feed material, the desired product, hazards, costs and common practices in the given industry. Size-reduction equipment can range from very large and rugged jaw crushers, capable of reducing boulders to sand, to very precise cutting mills. Integration of the correct separation equipment with size-reduction units and attention to solids-flow and material-handling issues are critical to successful design and operation of a size-reduction process. J. Peter Clark is an Oak Park, Ill.-based consultant who specializes in process development, including size reduction. E-mail him at jpc3@att.net. 1. Abouzeid, A.Z.M., “Processing of Fine Particles in Mineral Beneficiation, Part 1,” Powder Handling and Processing, Vol. 6 (1), pp. 35-48 (1994). 2. Price, M., “Size Reduction” in “Kirk-Othmer Concise Encyclopedia of Chemical Technology,” 4th ed., pp. 1,836-1,838, John Wiley & Sons, New York (1999). 3. Rudd, D.F., G.J. Powers and J.J. Siirola, “Process Synthesis,” pp. 205-208, Prentice-Hall, Englewood Cliffs, N.J. (1973).